I was glad I slept through it all! I did go to my parents for a visit. As close as they are, they escaped the winter precip. My dad and I went out for a tour of the projects he has been working on, and while out we did check for the tasty little morels. I have honestly never looked for mushrooms while wearing a stocking cap and gloves, but guess what?? We found a few! Definitely not enough for a meal, but I am not one to turn down a taste of these little guys! 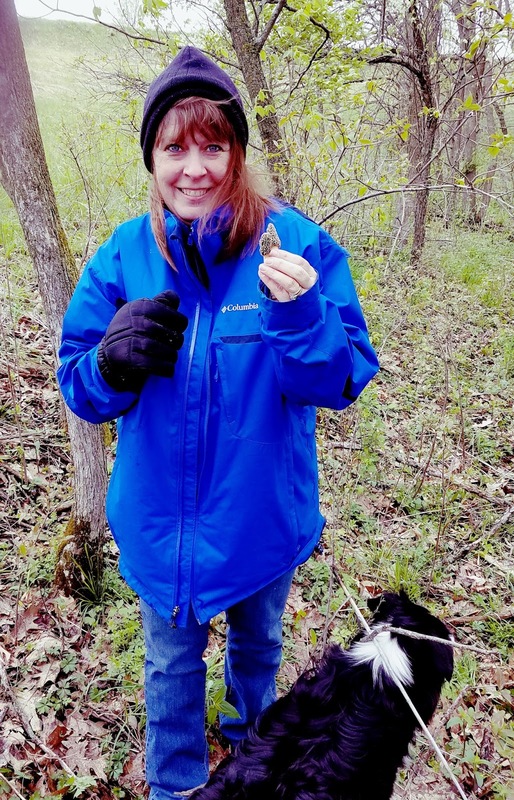 Do you hunt morels? What's your favorite way to prepare them? 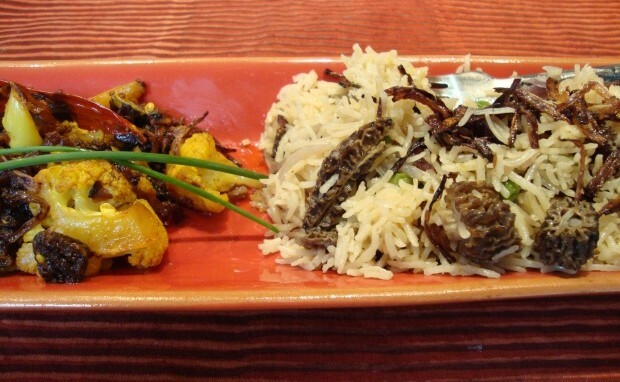 Spiced Cauliflower with Morels and Basmati Rice Pilaf. oh Lucky you, Kris! 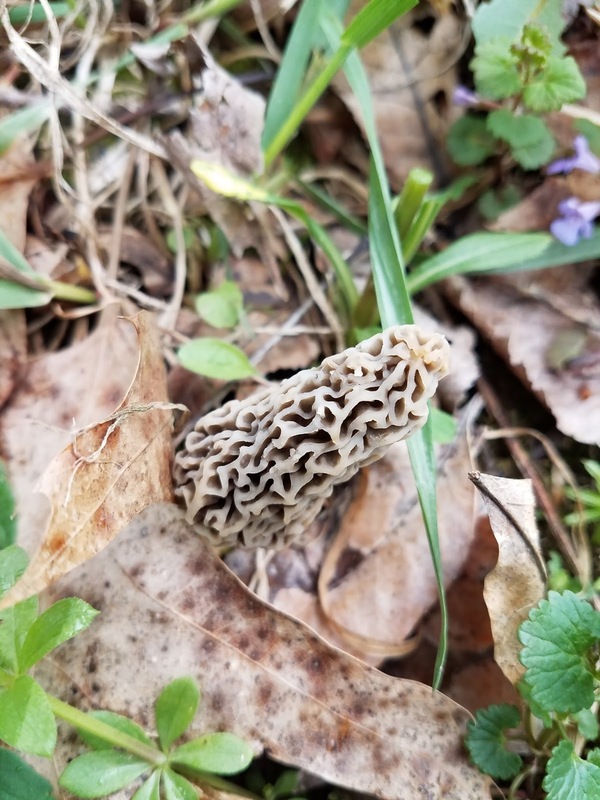 I would be very happy to just taste one FRESH morel! You make me realize that since I grew up having access to them, it is definitely a food I take for granted. Yes!! They are tons of facebook groups by state that you could follow. Then you get an idea how close they are in the state to you. People (around here anyway) won't give you exact spots to go hunt, but some nice people in the groups might give you some pointers on an area to try out! IF the rain ever stops! In the meantime... find that restaurant!! Wow Kris! how cool, I've never had a fresh morel, but a couple times of year we forage for chanterelles and they are delicious! have a great weekend. 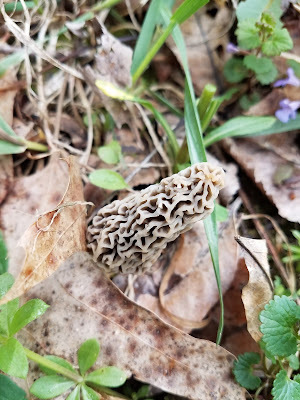 From the foods you share on your blog, I have no doubt you would LOVE a fresh morel! Hopefully, you run into them somewhere. We have wild mushrooms around here but none that are delicious enough to eat. Certainly not morels, you lucky girl. 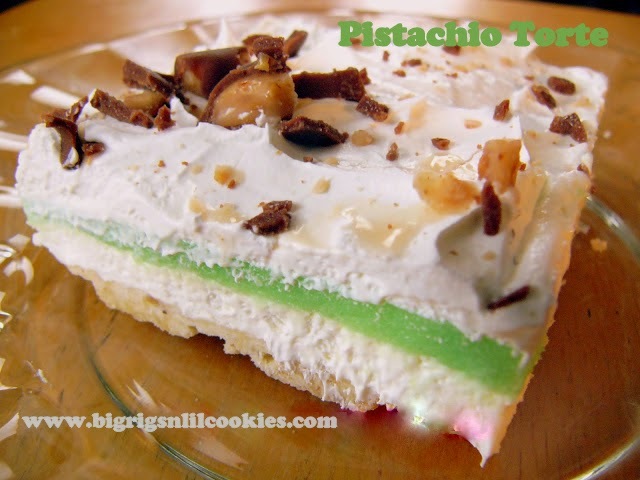 You have many other delicious foods that I am jealous of! I like the photo of you. Hoping to head out later this week and try again. If the rain ever lets up!! I really want a good season to have you all come join us. Maybe next year! I love Morels and have hunted them before. We just like to fry them in a little mixture of flour,egg. Yes! We fry them in butter. You? I didn't get a single one this year! I am jealous! We have to fry them in butter with cracker crumbs and egg at least once. My brother made a pizza with is too. Yum! Cracker crumbs is the family tradition for us too! It certainly hasn't been a great season for us, but with all the rain this weekend, I am holding on to hope for this weekend!